So, if Acts 6:4, prayer and the ministry of the Word, is the blueprint for apostolic ministry, that must relate to the various aspects of the apostles' task. 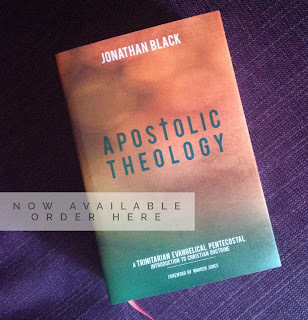 As we're thinking here about apostleship in terms of Sola Scriptura, let's have a brief look at some of the ways in which the ministry of the Word is seen in some different parts of the apostles' ministry. The ministry of the Word, of course, refers most directly to biblical teaching. 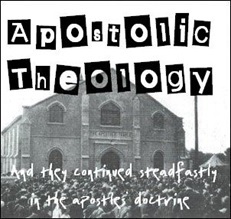 Right from the begining of the Church we see the importance of the teaching ministry of the apostles: the Christians 'continued steadfastly in the apostles' doctrine' (Acts 2:42). But the importance of the Word is also seen in other aspects of the apostles' ministry. Here are just a few examples. One of the responsibilities of the apostles in Scripture is the appointment of elders. In Acts 14:23 we learn that it was the apostles Paul and Barnabas who 'appointed elders in every church'. The context of prayer and fasting suggest that this was not simply a human decision. Yet, whether called through the prophet (as Paul and Barnabas themselves had been - Acts 13:2), or by revelation to the apostles, the appointment of elders must still be subject to the authority of Scripture. Scripture lists qualifications for elders in 1 Tim 3:1-7 and Titus 1:5-9. Thus anyone appointed as an elder must meet these qualifications. The Bible is a higher authority than either prophetical ministry or revelation received by the apostleship: prophecy and revelation are subject to Scripture and evaluated by Scripture. The apostles also have a final responsibility for church discipline. Yet discipline is not to be exercised arbitrarily, but rather, in accordance with the Word. Another responsibility of the apostleship is 'the care of all the churches' (2 Cor 11:28). An example is seen in Acts 15 with the Council of Jerusalem. When James concluded the council, he appealed to the Old Testament Scriptures for authority for the decision which had been reached. The apostles and elders listened to the experiences of Peter, Paul and Barnabas, but that was not sufficient. They needed the authority of Scripture. The apostles could not simply decide for themselves; their decisions were subject to the higher authority of the Bible.